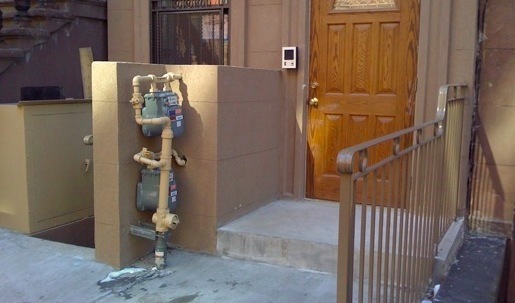 This entry was posted in Construction & Renovation and tagged ConEd, Harlem Townhouses, Townhouse Renovation, West 123rd Street Harlem Brownstone by Jay. Bookmark the permalink. No wonder USA is dragged behind many other countries. Thanks to the Fxxking unions. What can a home owner do when Con Ed puts these unsightly meters in the front of their home and it is not historically significant?